Mission Bulldog Layne Spidel, number 32, moves the ball in the first quarter against Troy. Rob Zolman / Valley Journal Arlee Scarlet Louetta Camel battles at the net. Pirate Matt Hobbs takes a few practice swings on the driving range. 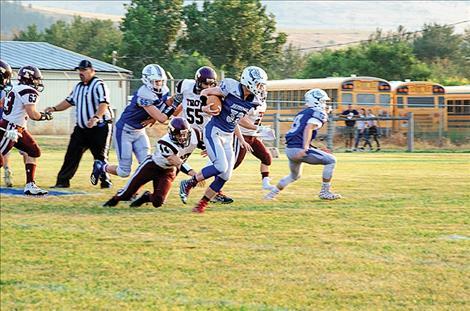 Visiting Corvallis Blue Devils shut-out the Polson Pirates 48-0 on Thursday evening. The Pirates offense could only muster a total of 13 yards against the stingy Blue Devil defense. Senior quarterback Lane Schall threw four touchdown passes and ran for a two-yard score as the Warriors annihilated the visiting Blackhawks 64-14 on Friday evening. Greg Whitesell and Lane Johnson each caught a touchdown pass, while Chase Gardner had two. Darshan Bolen rushed for two touchdowns and Whitesell rounded out the scoring for the Warriors when he scampered 36-yards for a touchdown. Mission scored early and often on its home field Friday night, running its record to 2-1 with a rout of Troy 66-6. Flint McPherson, Cole Gilleard and Wacey McClure caught touchdown passes, while Layne Spidel, Dustin Mitchell and Kolten Gardipee each rushed for a touchdown. Quarterback Isaac Dumontier threw the ball 104 yards while completing 9 of 14 passes and three touchdowns. Dumontier also rushed for 47 yards and a touchdown. On Friday, the Charlo Vikings fell to 2-1 on the season with a 52-8 road loss to defending Class C State Champions Flint Creek Titans. Coyle Nagy threw a two-yard touchdown pass to Isaiah Allik and Philip Marquez ran for the two-point for the lone Viking points on the night. Shea McGuinness had 10 assists and 13 digs to pace the Lady Pirates in a 3-0 loss to hosting Whitefish on Tuesday, September 4. Addison Arlint had eight blocks as the Lady Bulldogs won 25-21, 25-22, 22-25, 25-23 in Eureka Thursday evening. Hunter Eichert had 24 assists and Caitlyn Sorrell added 21 digs. On Saturday, Charlo swept visiting Noxon in straight sets 25-6, 25-19, 25-11. Kaitlin Cox had 12 kills, 18 digs and six aces to lead the Lady Vikings. Teaira Truman added six aces and 20 assists. The Mission volleyball team defeated Troy in straight sets of 25-15, 25-11, 25-22 on Saturday in Troy. Sydney Brander led the Lady Bulldogs with six kills while Hunter Eichert had 16 assists. 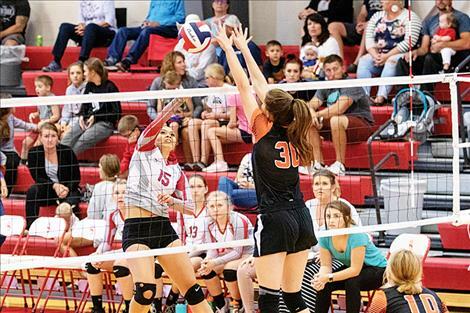 The Lady Pirates were defeated in straight sets Saturday in Libby. Kaylanna DesJarlais led Polson with nine digs and McGuinness had 11 assists. On Saturday, the Arlee Scarlets defeated visiting Plains Trotters in four sets 16-25, 25-16, 25-16 and 25-18. 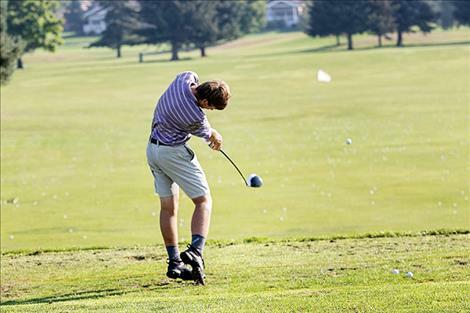 Polson’s Matt Hobbs won the Polson Invitational held at the Polson Bay Golf Course on Thursday. Hobbs carded a 1-under 71, finishing four shots ahead of second place finisher and teammate Trey Kelley. Lady Pirate Cali Cannon shot a 92 fourth place finish. Top finishers for Ronan were Conner Cornwell who shot a 91 and Macy Jackson with a 95. On Friday, during the Cabinet View Invitational golf tournament in Libby, Kelley nabbed a second-place finish shooting a 75 while Hobbs scored a fifth place 77. Cannon carded a fifth place 96 for the Polson girls.